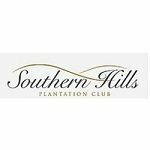 Southern Hills Plantation Club - Out of the heart of a legendary landscape comes a champion – Southern Hills Plantation Club, featuring a private 18-hole Pete Dye Signature Golf Course, Classic Southern resort-style Golf Clubhouse. Out of the heart of a legendary landscape comes a champion – Southern Hills Plantation Club, featuring a private 18-hole Pete Dye Signature Golf Course, Classic Southern resort-style Golf Clubhouse. Out of the heart of a legendary landscape comes a champion – Southern Hills Plantation Club, featuring a private 18-hole Pete Dye Signature Golf Course, Classic Southern resort-style Golf Clubhouse, and a World-class Athletic Club and Spa. At center stage in the grand landscape of the area's most respected luxury community, The Club offers Members the rare opportunity to play a course whose bloodlines rival those of the greatest venues in the World. MetroWest Golf Club, located 10 minutes from the world-famous Universal Studios, is a classic and traditional style 18-hole public golf course in Orlando, Florida. Victoria Hills Golf Club is a beautiful 18-hole golf course surrounded by hundreds of oak hammocks and Augusta pines located is the quaint college town of DeLand, FL. Nominated as one of America's "Best New Courses" by Golf Digest, this orlando golf course Kissimmee Bay Country club exceeds the expectations of many.